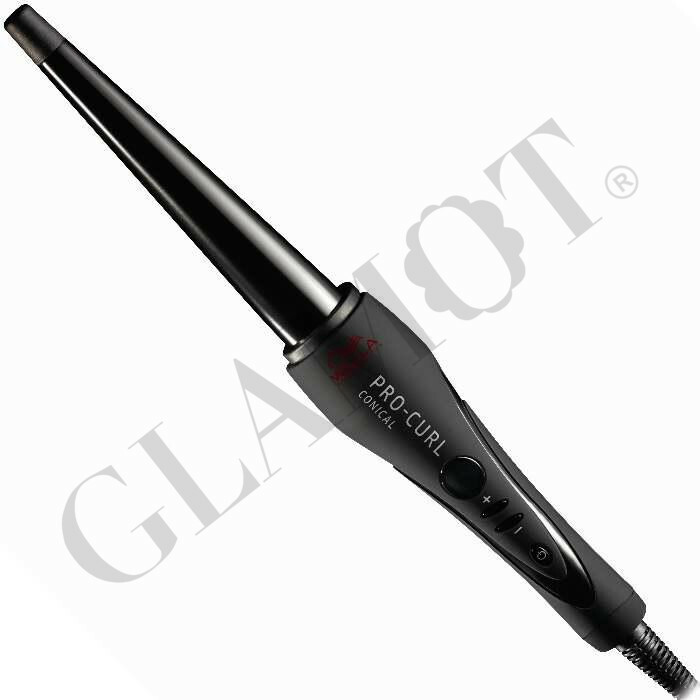 Thanks to the innovetive conical shape of the barrel, the Pro Curl Conical enables the ultimete in flexible styling with varying curl diameters and shapes. Durable ceramic coating to glide smoothly and gently through the hair. PTC heating element for a short warm-up period and consistent temperatures. Varying curl diameters and shapes. Create curls from large to small in one hair section. Convenient, un-restricted and customised handling without a clip. Isolated tip for holding the ends of the hair.